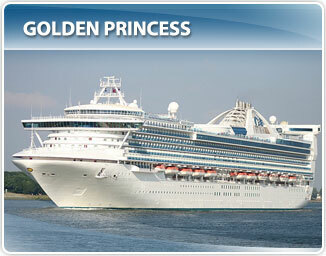 You are currently browsing the tag archive for the ‘Princess Cruises’ tag. She holds 1,950 passengers and simply without the travelers on-board yet, it felt cramped with just the 200 or so agents, plus the staff. 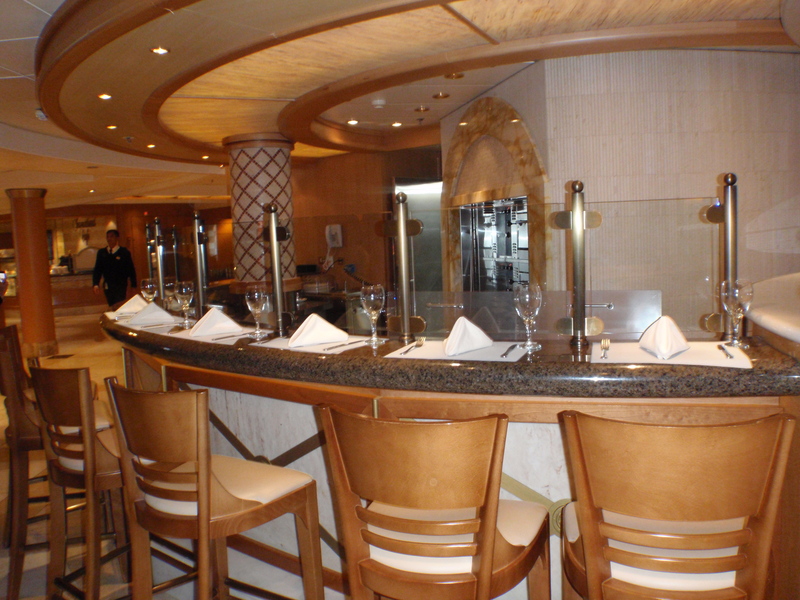 I’ve been on plenty of other ships with the same capacity including other Princess ships and my preferred line – Celebrity Cruises are far more spacious than the Sea. The spa was the most disappointing I have ever seen on a cruise ship!!! It was dull, lifeless and very small. Now let’s address what they refer to as the Grand Casino…There was NOTHING grand about this! It was tiny!!! I think it only had 30 slot machines? A majority of the room was geared toward just plain seating. Am I mistaken, but isn’t the casino on a ship a huge moneymaker for the cruiseline? Truly the 2 things I was very pleased with were the size and layout of the mini-suites and the buffet area. I’ve been on the Coral Princess twice in a mini-suite, in which they are just oversized staterooms. However, on the Sea Princess, they are large, have wonderful flow between rooms and the bathrooms are the extremely beautiful. The buffet area and dining room, I thought was a nice size, bright (surrounded by windows) & airy – perfect for Alaska! Finally, let’s discuss the food…We were invited for lunch in one of the main dining rooms…I almost would have preferred to eat their pizzeria. The Shrimp with Melons was bland; the Chateaubriand was overcooked and tough. The bread & chocolate soufflé were the only things that were worth eating. If this is what they serve us, what in the world do they serve clients for 10 nights? 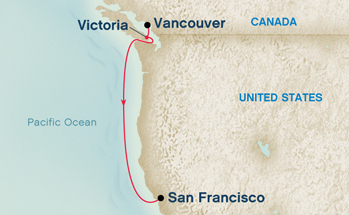 Now don’t get me wrong…I am a huge advocate for the 10/11 day roundtrip Alaska itinerary out of San Francisco. I just think that Princess should put in place a much better ship than the Sea Princess. When you look at the quality of the competitor’s ships, this cruise ship truly fails. I highly recommend Royal Caribbean’s Radiance of the Seas or Serenade of the Seas (departing out of Seattle & Vancouver, respectively). These ships were specifically designed for viewing the beauty of Alaska and are a far better value and cruising experience! Contact me to discuss booking that last minute Alaska cruise for 2009 or locking in a stateroom for 2010 at 2009 rates on either RCCL or Celebrity!